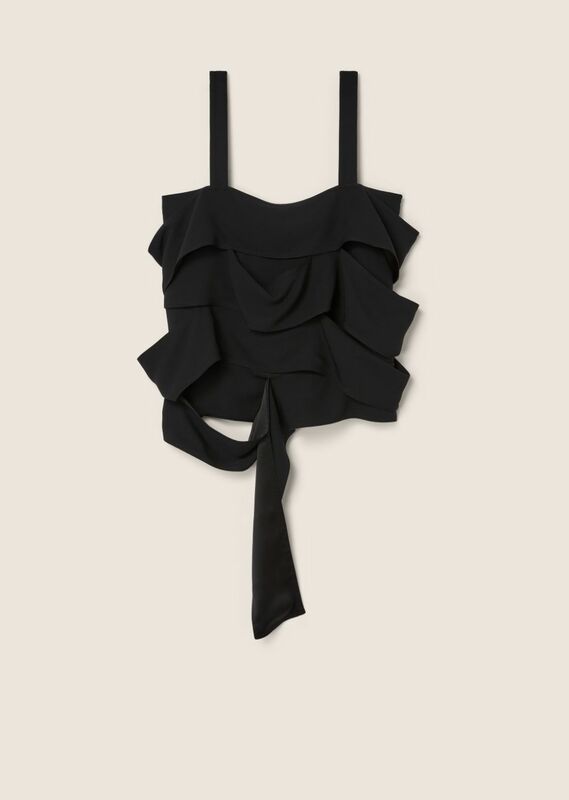 Relaxed camisole in black silk georgette with loosely draped, asymmetric ruffle panels throughout. Square neck. 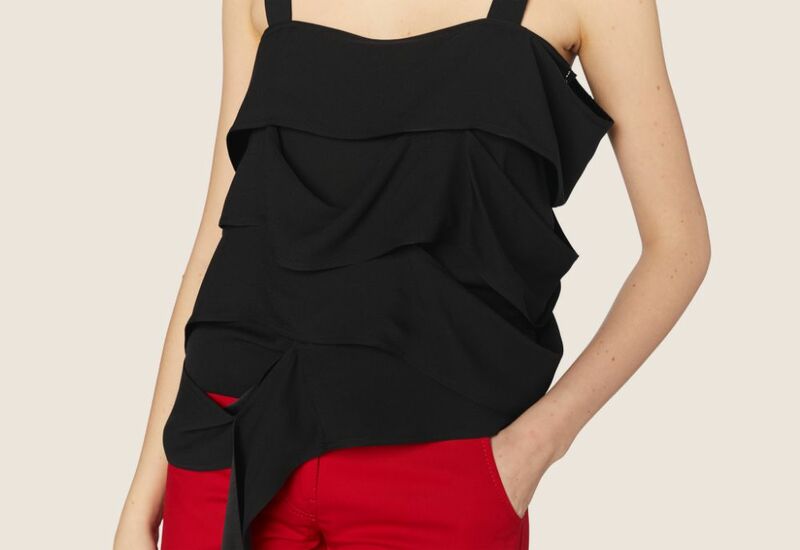 Wide shoulder straps. Tonal stitching. Made in Italy.